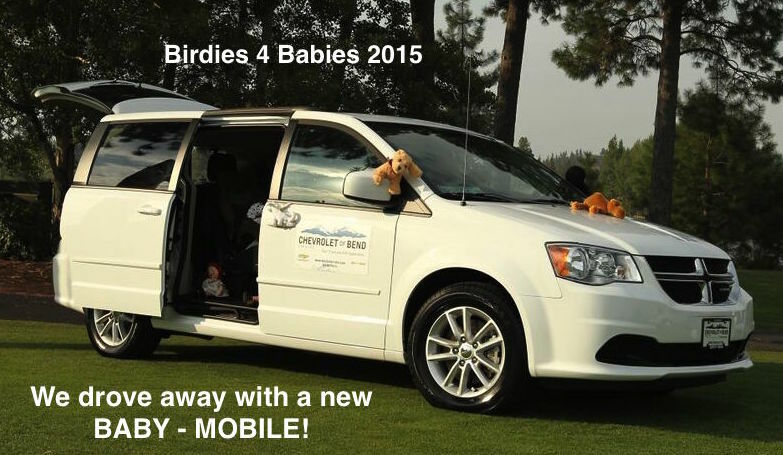 An astounding $90,000 was raised by planners, sponsors, and participants of 2015's Birdies 4 Babies Club Team Challenge held at Broken Top Club on August 28th. Proceeds from this event support MountainStar’s family-focused child abuse/neglect prevention program that strengthens families who are living in crisis. MountainStar leaders are absolutely astounded at the success of this event and we could not be more grateful to the devoted planning committee of Kathy Murch, Susan and Werner Zehnder, Virginia De Kat, and Sally Murphy! A big thanks goes out to a few others for their generous effort and contributions to the event: all of our amazing Team Captains, Sarah and Brad Gray, Shelly Hummel, photographer Mike Nelson, Scott McLean auctioneer extraordinaire, Pete McCracken for emcee-ing, the hard-working MountainStar volunteers and Broken Top staff! We’re of course also very grateful to all guests for attending and donating — hope you had as much fun as we did! — and to everyone who contributed items and sponsorships toward the event. Driving away in our new Baby-Mobile was the icing on the cake! Thanks to Chevrolet of Bend, everyone who bought stars, and our anonymous friend who rounded out the $30K total raised for a new van to transport babies and toddlers to our therapeutic classes.